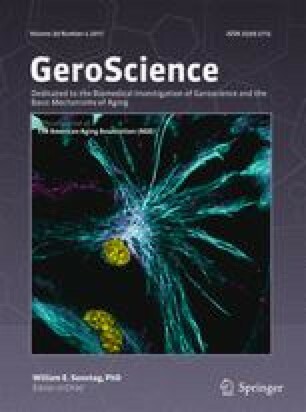 Interventions that target biological mechanisms of aging have great potential to enhance quality of life by delaying morbidity and mortality. The FDA-approved drug rapamycin is a compelling candidate for such an intervention. In a previous study, it was reported that 3 months of rapamycin treatment is sufficient to increase life expectancy and remodel the gut microbiome in aged mice. Transient treatment with rapamycin or a rapamycin derivative has also been shown to delay immune stem cell senescence and rejuvenate immune function in aged mice and elderly people. Periodontal disease is an important age-related disease involving altered immune function, pathological changes to the oral microbiome, and systemic inflammation. Periodontal disease is defined clinically by loss of alveolar bone and by connective tissue degeneration. Here, we describe significant alveolar bone loss during aging in two different mouse strain backgrounds and report that rapamycin treatment is sufficient to reverse age-associated periodontal disease in mice. Partial restoration of youthful levels of alveolar bone is observed in 22-month-old rapamycin-treated mice as rapidly as 8 weeks after initiation of treatment. To the best of our knowledge, this represents the first intervention shown to substantially prevent or reverse age-associated alveolar bone loss. These findings suggest the possibility that inhibition of mTOR with rapamycin or other pharmacological agents may be useful to treat a clinically relevant condition for which there is currently no effective treatment. The online version of this article ( https://doi.org/10.1007/s11357-017-9994-6) contains supplementary material, which is available to authorized users. JA was supported by NIH training grants T90DE021984 and ARCS Foundation. EQ was supported by NIH training grants T32AG000057. This work was supported by grants from the Glenn Foundation to MK and RAM and by NIH grant AG022303 to RAM.